Bespaq's Park Avenue bed room 6 piece set includes: Wing back Bed, Ottoman, Armoire, Dresser, Night Stand and Lingerie Chest. 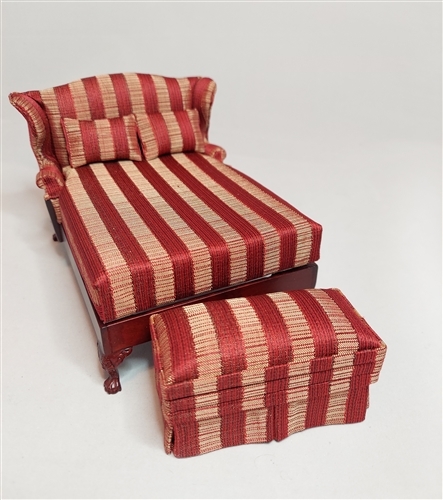 The Wing Back headboard and ottoman are upholstered in a red and beige silk ribbon fabric and the bed frame is mahogany. Has matching bed spread and 2 pillows. 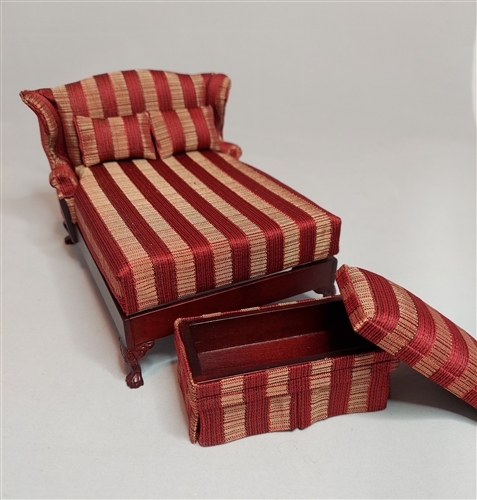 The top of the ottoman is removable making a wonderful storage chest. 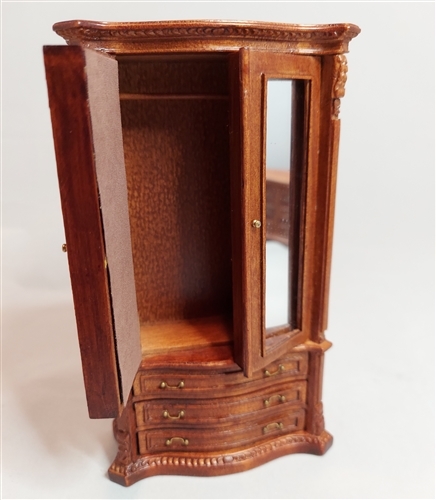 Armoire is beautifully crafted in mahogany with mirrored (working) doors above three full drawers with brass pulls. 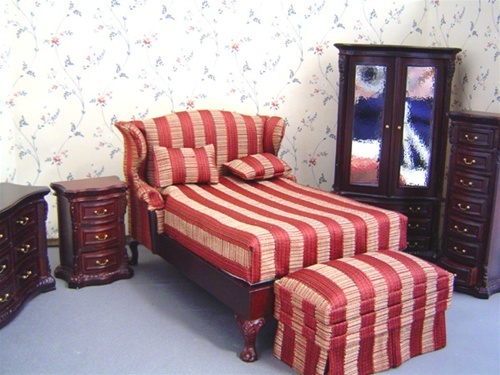 The matching Dresser has 9 individual working drawers, smooth curved lines and carved moldings. Lingerie Chest has 7 small drawers with brass pulls. and the Park Ave. Night Stand has 3 drawers. Select 'larger photo' to view close up of the different pieces. 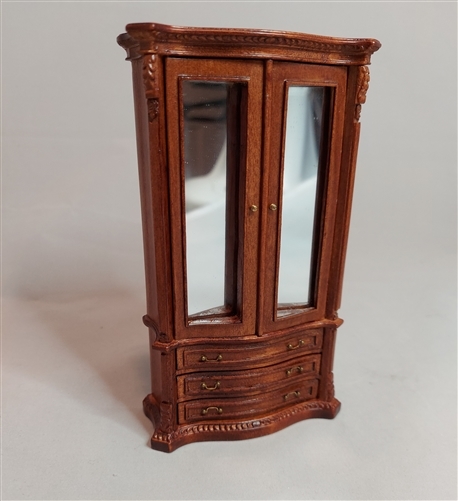 Note: the mirror on the armoire is actually very clear- In the picture shown above the glass has been distorted to mask my cameras reflection.